Successfully saved Super Crispy Fish and Chips to your Calendar. You can also save the ingredients to your Grocery List. 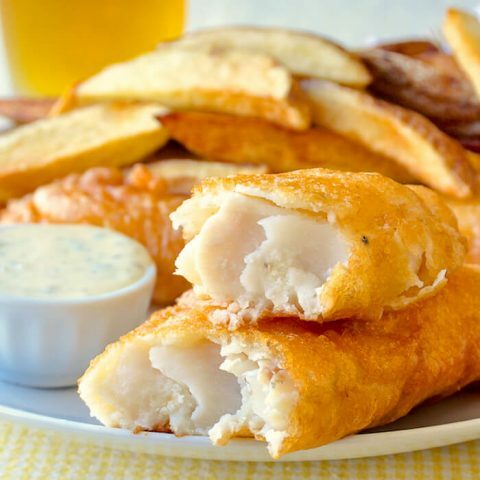 Super Crispy Fish and Chips - after years of experimenting I've perfected my homemade version of fish and chips that uses part rice flour in the batter recipe for guaranteed crunch.